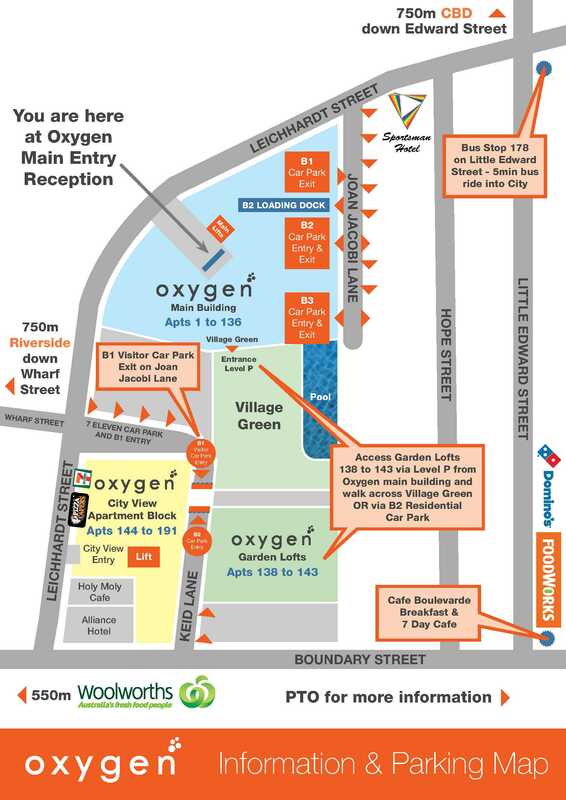 Oxygen Apartments local Map of the Oxygen Precinct and local shops. Local shops within 100 meters of Oxygen include a bottle shop, 7/11 convenience store, Korean Super Market, 2 cafes, Pizza Capers, Mexican Restaraunt, and Alliance hotel with a great restaraunt. Both Queen Street shopping precinct and the Brisbane river are only 900 meters from Oxygen Reception and there is a free council bus running every 15 minutes Monday to Friday to the Queen Street Mall.